A Beautiful Smile Never Goes Out of Style! Most people need at least on tooth filling in their lifetime. A Dental filling helps to restore damaged tooth by decay back to their normal function, integrity, and morphology, and can prevent further decay. A dental filling is also used to repair cracked, broken, or worn tooth. Dr. Maryam Horiyat, cosmetic dentist, will help you and your children at any age with white and metal-free dental fillings, ensure the best comfort and pain-free experience before, during, and after the procedure, and will happily answer any questions you may have. Dr. Horiyat and her skilled licensed hygienists can examine your entire mouth and show you the real-time image of your teeth and cavity on a monitor instead of dental mirror by using high resolution intraoral camera. She also can detect and diagnose any hidden or early cavity using high performance laser cavity detection. Aria Dental in Mission Viejo can include these valuable services at no additional fee with your regular checkup after your cleaning appointment. If you are looking for an attractive option to conventional fillings and want to learn more about Metal-free fillings (white) in Orange County, please call Aria Dental @ (949) 364-9600 or in Mission Viejo to request for an appointment with Dr. Horiyat to restore your tooth and prevent further decay or to replace your silver amalgam fillings with composite resin fillings for appearance of very natural teeth. At Aria Dental – an Eco-Friendly Dental Office - we pay close attention to ensure the treatments offered and the materials used stay in tune with our biological philosophy. This means we limit the amount of metal dentistry used. We place extra emphasis on being a mercury-free (Holistic) practice. 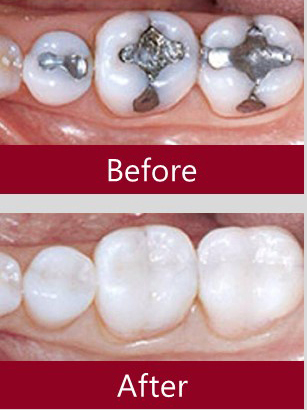 In fact, Dr. Horiyat has not placed a mercury amalgam filling in tooth more than a decade. As a mercury-free dentist in Orange County, Dr. Horiyat chooses superior porcelain and composite resin material whenever we fill a cavity or fix a broken tooth. This means you’re protecting your overall health while we’re treating your dental needs. In addtion, she is an expert to completely protect you from any mercury exposure during the removal of your old silver mercury fillings. Several factors influence the performance, durability, longevity, and expense of dental restoration. Where and how the filling is placed. Before your treatment begins, Dr. Horiyat will discuss with you all of your options and help you choose the best restoration option for your particular case. In preparation for this discussion, it may be helpful to understand the two basic types of fillings: Direct Dental Fillings and Indirect Dental fillings. Direct Filling (Regular Fillings): if you present with a small to average sized cavity resulting from tooth decay, you would be a candidate for a direct filling. Direct filling techniques are also referred as chairside filling because they are placed the same day you attend Aria Dental. While most common filling material used to be silver amalgam, today, we use the most common direct filling, called composite resin filling or “white” fillings. Indirect Filling (Inlays, Onlays, and Dental Crowns): Indirect fillings required when tooth decay is extensive and there is not enough healthy tooth structure to hold a direct filling. In such cases, indirect restorations are fabricated from porcelain or zirconium in a dental lab or in dental office using CEREC. They are referred to as indirect restorations because they cannot be made directly to the tooth by packing or layering. Indirect restorations include Inlays, onlays, or crowns. Inlays are cemented inside the tooth within the cusps of the tooth; onlays involve replacing one or two cusps of the tooth as well as the inner layer; dental crowns fully encase the entire visible portion of a tooth that lies at and above the gum line. What to Expect During Your Visit to Aria Dental for a Filling? Taking before and after images and x-rays if it is necessary. Topical anesthetic to numb the area of treatment. If it’s necessary, painless numbing injection. Decay removal from the affected tooth. Tooth restoration using a composite (Metal-free filling). Bite check to make sure your teeth align comfortably. Smile again with no visible filling. At Aria Dental, our goal is to practice effective, long-lasting dental treatments which consider every aspect of your physiology. For a safer, natural approach toward your oral health, request your appointment with the best mercury-free dentist in Orange County, Dr. Maryam Horiyat today! Dr. Maryam Horiyat believes in mercury-fee dentistry and offers a wide range of metal-free services for you and your loved-one. To provide natural dentistry, Dr. Horiyat uses not only high-quality materials, but also safe materials for your health. As being certified and a member of American Academy of Cosmetic Dentistry for more than a decade, Dr. Horiyat always pay attention to details and provides you with cosmetic dentistry even for your simple dental fillings. 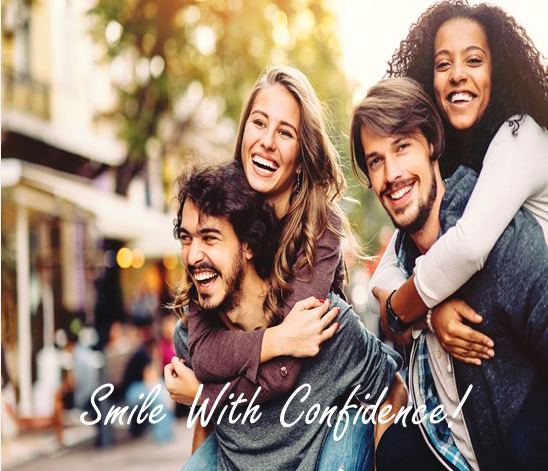 At Aria Dental, we utilize hi-tech equipment and use the best and most innovative composite and porcelain materials from the most reputable worldwide manufactures such as 3M, Kerr, Coltene, and DenMat to provide most comfortable, long-lasting restorations while being affordable for you.